Pat Harley with Jennifer McClish, Fay Runnion, and Kellye Rickman. She was a prayer warrior. As a Bible study teacher, she prayed for all of her students. She kept her heart open for God to show her who to invest into their lives in order to raise them up to walk in the same spiritual footsteps. Eleanor Lewis, one of our founding teachers, recognized three women in particular who had a love for the Word, an eagerness to learn to more, and a willingness to share what God was doing in their hearts. 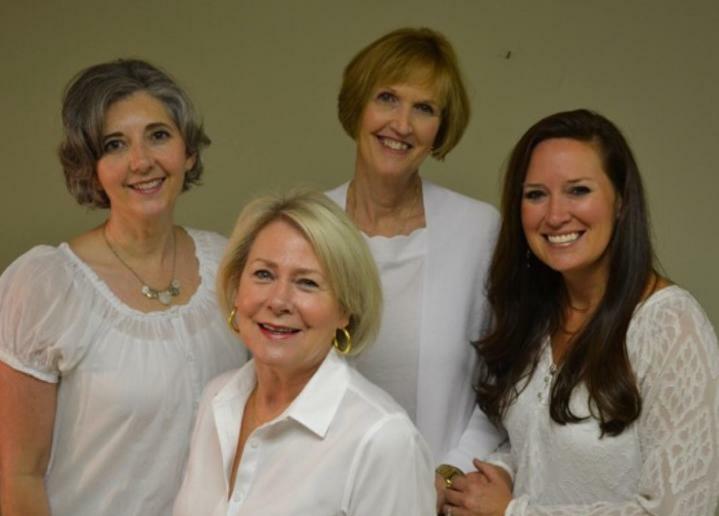 These three women, Jennifer McClish, Kellye Rickman, and Fay Runnion did not see themselves as Bible study teachers, yet because of the investment Eleanor made in their lives, all of them are now teachers for Big Dream Ministries. Throughout Paul’s letters in the New Testament, we can see how he understood and taught this principle of duplicating yourself for the sake of the gospel. Jesus called Paul to take the message into the nations, yet he was only one person. Paul intentionally invested time training and encouraging teachers of God’s Word as a way to multiply his effectiveness. He did this by sharing what he has gone through for the sake of the gospel and how to live in light of eternal salvation by the grace of Christ. Paul goes so far to say, “Be imitators of me, just as I also am of Christ” (1 Corinthians 11:1). Paul was a teacher of the Scriptures who expected the hearers to grow in their own knowledge of the Word. The author of Hebrews expects knowledge to progress from being a student to becoming a teacher (5:12-14). Yet, the book of James warns that not all should become teachers because of the high standard which must be held (3:1). As a Bible study teacher, God calls you to lead others to a deeper understanding of who He is by teaching His Word. It is an honor and an incredible responsibility! Whether teaching 1 person or 1000, teachers are accountable for how they handle the Scriptures. We need to keep the Writings within their original context while being able to provide current applications. Additionally, we want to help our students mature from a basic knowledge to a deep love and understanding of the Bible – perhaps so they will also desire to share what they have learned with others. Is there someone in your sphere of influence that you recognize as having the potential to grow into the role of teacher? Think of the impact in their life and your ministry! At Big Dream Ministries we are dedicated to providing materials and training to equip your Bible study teaching and discipleship of others. Our studies have been used for over 15 years to help teach every book of the Bible and our training conference provides the skills and confidence teachers need to accurately present the Word in any environment the Lord has called them to lead. Consider us your partner in your efforts to educate others in the Word of God. For information about our studies or the upcoming conference in April 2018, visit us online at www.BigDreamMinistries.org.